Do you regularly meet with the key stakeholders in your organization (or your client’s organization) to strategize how modern infrastructure can enable your business objectives? When was the last time your CFO sat in on your architecture review meeting? Are you realizing the full economic benefits of Amazon Web Services (AWS) on a continuous basis? Essentially, do you know if your cloud infrastructure is “well-architected” to achieve your desired business and technical outcomes, all while optimizing costs? Let me provide some context while you spin on those questions. At nClouds, an AWS Partner Network (APN) Premier Consulting Partner and Managed Service Provider (MSP), we have been conducting AWS Well-Architected Reviews since getting certified as an AWS Well-Architected Partner in January 2018. It’s our learning from some 100 completed Reviews that prompts my questions above. In this post, we’ll explore the basics of Well-Architected and the value of a Well-Architected Review, as well as how this framework can support your business. If “well-architected” is a new term for you, here are the essentials. AWS Solutions Architects took their many years of experience building solutions across virtually all business verticals and use cases, and designing and reviewing thousands of customers’ architectures on AWS, and identified a set of best practices for architecting systems in the cloud. The result is the AWS Well-Architected Framework, based on five pillars: Operational Excellence, Security, Reliability, Performance Efficiency, and Cost Optimization. Learn more about the 5 pillars of Well-Architected. The actionable, and therefore valuable, thing about the Well-Architected Framework is that it provides a consistent approach to evaluating systems against best practices. AWS offers customers Well-Architected Reviews that use Framework principles to provide an assessment and identify recommended remediation, typically for a high-priority workload. The Reviews are staffed by AWS Solutions Architects or AWS Well-Architected Partners. I’ll use a cost optimization example later in this post for a bit of texture. The Reviews also serve as a tune-up to help keep pace with the velocity of AWS innovation. New AWS services come at a high volume and speed, and the Review ensures you’ve been introduced to the most modern services. AWS is super energized around Well-Architected. Given their relentless focus on customer obsession (I got my orange “It’s about the customer, stupid!” tattoo when I was at AWS headquarters in Seattle last year), it’s not surprising they want every customer practicing Well-Architected. It’s a win-win-win for customers, APN Partners, and AWS. What is the Value of a Well-Architected Review? In our experience, about 80 percent of customers proceed with the recommended remediations that come from the structured Review and associated guidelines. That’s value. Pressing issues with cost, performance, reliability, operations, and security get remediated quickly. Get help interpreting the awesome flow of new AWS services, with some immediately addressing issues like cost and operational excellence. Satisfaction goes up when AWS or a Well-Architected Partner is onsite, helping you improve your cloud usage. Because AWS adoption has happened with such velocity, and modern infrastructure skills generally remain scarce, there are some architecturally-needy implementations that need attention. Amazon is famously passionate about customer satisfaction and is genuinely committed to customers using solidly-designed infrastructure; they’ve put skin in the game. AWS Solutions Architects, along with a growing army of Well-Architected Partners, are delivering Well-Architected Reviews. In some cases, (like with nClouds), they do so at no charge. What’s more, AWS sweetens the pot with billing credits as an incentive. The customer goes through a Well-Architected Review, which is a commitment of a few hours. If the customer moves forward with any remediation identified in the Review within 30 days, AWS provides credits to the customer’s account. Well-Architected provides a defined and efficient process for helping clients improve their cloud infrastructure. We use it as part of client-onboarding to help prioritize a roadmap with the customer. 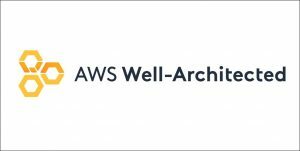 AWS Well-Architected Reviews have been a healthy source of new clients for us. It’s great to start a new relationship as the hero, identifying immediate cost savings or security remediations, not to mention the benefits of aligning on a set of shared goals. We’re investing! We extended a software-as-a-service (SaaS) offering called nOps (available on AWS Marketplace) to specifically support and facilitate AWS Well-Architected Reviews. nOps is a cloud management platform for AWS that accelerates and automates discovery and improves reporting for Well-Architected Reviews. What’s more, it helps customers achieve continuous compliance with Well-Architected guidelines, following a Review. How Can Well-Architected Support Your Business? Most importantly for us, the AWS Well-Architected Review model has empowered nClouds to mature our relationship with both existing and new clients. And this takes me back to my original questions. In our experience conducting more than 100 Reviews, the process has created collaborative work sessions that are truly substantive. We get a cross-section of key stakeholders that, in many cases, do not sit together at the same (highly interactive) table on a regular basis. This can include cloud infrastructure, IT operations, engineering, SRE, support, product, finance, and more. In this video, I discuss how DevOps teams use nOps to support automated discovery and continuous compliance as part of building a Well-Architected infrastructure on AWS and advancing their DevSecOps initiatives. AWS Well-Architected Reviews are creating the opportunity to align technical and business objectives. While the scope of the Review often starts with a focus on a high-priority workload, our experience is that a broader discussion happens. The Review evolves into exactly the discussion we want to have with customers: How modern infrastructure is going to give you an advantage in the marketplace, like a better customer experience, faster idea-to-cash, or scalability. Well-Architected Reviews help achieve business outcomes while optimizing cost. I’ll share a consistent theme from, well, most of the Reviews we’ve done across domains and workloads. It’s about cost optimization and, essentially, how to drive return on investment (ROI). So, here’s the cost optimization example that I referenced earlier. There are four key learnings, and I’ve provided some of the questions used in the Well-Architected Review, and related insights. Things to consider: Have you sized your resources to meet your cost targets? Do you decommission resources that you no longer need, or stop resources that are temporarily not needed? Right-sizing is an iterative process where you adjust the size of resources to optimize for costs. It’s about selecting the cheapest instance and instance type available, while still meeting performance requirements. Doing this on an ongoing basis requires you to monitor resources and alarms to provide the data for a cost/benefit analysis to prioritize which resources to target first, such as utilization statistics for each resource, with cost and usage patterns over time. Most of our clients scale their infrastructure based on demand, using automation. What’s more, we discovered that sometimes when you terminate these resources, there may be no housekeeping service built into the process to clean out unused resources. As a result, you’ll see lots of unused volumes, which drive up costs. I’ll admit it’s kind of fun to see participants rapidly deleting unused resources during the Review. We use nOps to proactively find and eliminate waste in clients’ infrastructure. Things to consider: Have you selected the appropriate pricing model to meet your cost targets? When you have metrics on workload usage and load over time, you can reduce your costs by reserving or committing to a certain amount of resources. With Amazon EC2 Reserved Instances (RI), you commit to a period of usage (one or three years) for a significant discount (up to 75 percent compared to On-Demand pricing) and a capacity reservation when used in a specific Availability Zone (AZ). A good rule of thumb is to target 70-80 percent always-on coverage and 95 percent RI utilization rate. Things to consider: How do you make sure your capacity matches but does not substantially exceed what you need? How quickly do you need to provision new resources? Leveraging the elasticity of the cloud to meet changing demand can provide significant cost savings. Look for dev/test, non-production instances that are running always-on and turn them off. Keep in mind that you need to be ready to cope with the rate of change in demand and be ready to respond to resource failures. AWS Auto Scaling scales up and down based on demand and usage. It monitors your applications and automatically adjusts capacity to maintain steady, predictable performance at the lowest possible cost. A good rule of thumb is to aim for 20-30 percent of Amazon Elastic Compute Cloud (Amazon EC2) instances running on demand to be able to handle elasticity needs. AWS Lambda lets you run code without provisioning or managing servers. You pay only for the compute time you consume. There is no charge when your code is not running, so you can focus on paying for what you need when you need it. Amazon Glacier is, by design, cold storage for data you need to retain but do not need to access frequently. It’s an extremely low-cost storage service that provides secure, durable, and flexible storage for data backup and archival, allowing you to run powerful analytics directly on your archive data at rest. Things to consider: How are you monitoring usage and spending? Establish goals and metrics that your company can use to measure its progress. The measures should focus not only on cost but also on the business output of your systems. Cost Explorer is a free tool from AWS that you can use to view charts of your costs. You see patterns in how much you spend on AWS resources over time, identify areas that need further inquiry, and see trends that you can use to understand your costs. nOps is a relatively inexpensive SaaS tool available on AWS Marketplace that extends Cost Explorer to provide billing anomaly detection and notification to eliminate surprises in your AWS invoices with machine learning-based detection and real-time alerts. Further, nOps provides insights about the changes associated with the change originator in your workload and related costs. When you measure and monitor your users and applications, and combine the data you collect with data from AWS platform monitoring, you can improve system utilization and ensure that your systems are cost-effective. Hopefully, that gives you a taste of the type of dialogue and insights that Well-Architected Reviews generate. In this video, I am joined by Revere CEO and Co-founder Vanessa Krumb, as well as Dean Dierickx from the AWS Well-Architected Partner Program, to discuss how Revere has teamed up with nClouds to drive cost optimization and earn trust with customers. AWS Well-Architected helps Revere demonstrate strengths in security and performance efficiencies, while the nOps cloud management platform allows them to focus on building better software. How Do You Define and Execute Against Shared Goals? What’s very exciting for me, because it aligns with our core values at nClouds, is that we find Well-Architected Reviews provide an excellent forum to identify shared goals with our customers. As a result, we continue our focus on being customer-centric while we’re busy creating Well-Architected modern infrastructure. About 80 percent of participating organizations proceed to remediation recommended in the Review. More than 85 percent of Reviews are executed with organizations where we had no prior relationship. The initiative is a good source of new, ongoing customers following the Review. “Our AWS account rep connected us with nClouds, and we went through a Well-Architected Review of our stack. From our initial kick-off meeting, nClouds quickly zeroed in on the most important opportunities for our business and provided actionable and reliable guidance. Thank you, Alex. Of course, our objective is to earn comments like this from every client. If you’re an AWS customer, learn more about the Well-Architected Framework and the 5 Pillars of Well-Architected. Note that the smart Solutions Architects at AWS have created Well-Architected lenses for Serverless, High-Performance Computing (HPC), and Internet of Things (IoT). Customers should also engage in an AWS Well-Architected Review, as it’s one of the key ways to help ensure your workload is always capable of running the business in a cost-optimized environment. Reviews are also an opportunity to get your key stakeholders together to talk about how modern infrastructure will help you win in the market. If you’re an APN Partner, what are you waiting for? 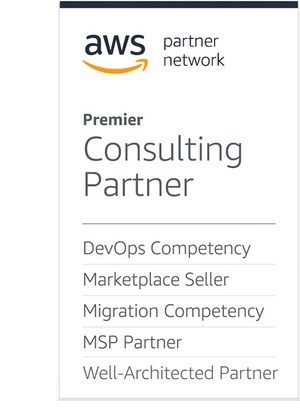 As the proverb goes, the best time to earn your AWS Well-Architected Partner certification was six months ago; the next best time is today. This is high-value for your organization and your customers. For both customers and APN Partners, check out nOps, our SaaS cloud management for AWS, designed to support automated discovery and continuous compliance for Well-Architected Reviews and post-Review. It’s “Powered by AWS” and available on AWS Marketplace. Originally developed by nClouds, an APN Premier Partner, we spun off nOps as a separate entity in response to interest from other APN Consulting Partners using it to support Well-Architected Reviews and continuous compliance. You will find AWS Well-Architected essential to achieving a customer-first culture. Good luck! nClouds is an APN Premier Partner and MSP. They help customers build and manage modern infrastructure solutions that deliver innovation faster. nClouds builds partnerships based on shared goals while challenging the status quo and promoting an innovation culture.